Starbucks HQ Flies Rainbow Flag - Joe.My.God. Andy Towle writes at Towleroad: “Starbucks raised an enormous 800 square foot LGBT Pride flag over its Seattle headquarters today in celebration of the 40th anniversary of Seattle Pride. 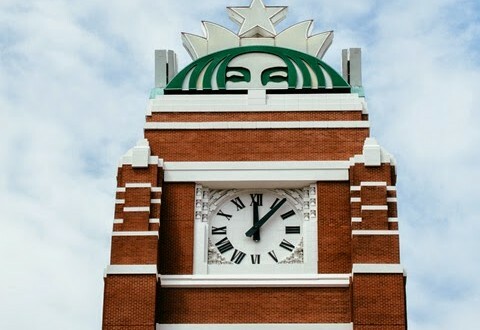 Photographer Nate Gowdy was on hand and shared these images with Towleroad of the clock tower and flag, as well as CEO Howard Schultz, who observed the flag raising with employees.” Time for more boycotting!